Creating the innovators of the future! 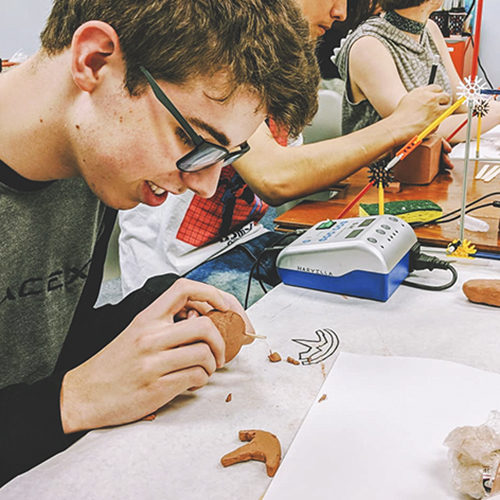 Startable Pittsburgh™ is a free program that teaches high school students entrepreneurial and maker skills through the creation and commercialization of hardware products. Participants earn a stipend, keep all profits from their products, and pitch for more funding at our final event. Startable Pittsburgh™ has helped hundreds of young entrepreneurs launch businesses from pet feeders to fashion lines. See what our graduates are up to now. Are you a student or educator interested in being a part of Startable? Would you like to be on our mailing list for future events? Have a question? Reach out!